Whenever the kids are sick, I see to it that they will feel better especially when it is time to sleep. Getting a good rest is one of the best ways to help them recover at once. My baby boy, Quiel would have cough and colds often because he always had asthma. In fact, we even have a nebulizer ready for him all the time. I had been looking for the perfect baby rub that doesn't have a scent and is gentle to the skin. My eldest daughter, Bella has sensitive skin. She gets rashes from oils and other rubs. With that, I also need a rub that is good for her sensitive skin. Well, one day in November, I received a package from Koofty Enterprises. And it contained a gift that answered all my dilemma! 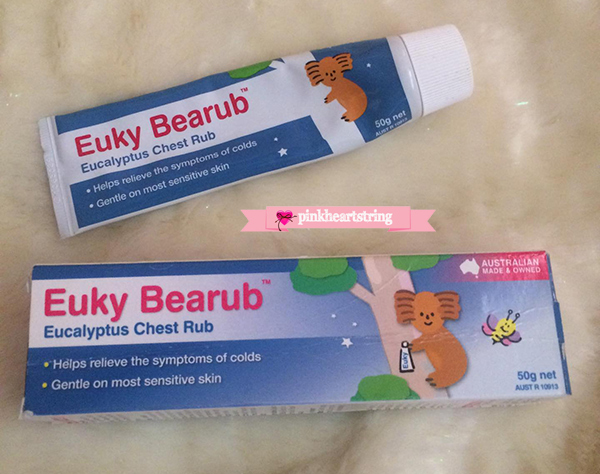 They sent me a tube of Euky Bearub, which is a eucalyptus chest rub. Bella was so excited to try it! haha! And yes, both kids used it that night when I got the package. I even applied it on my chest and neck too because I want to check how it feels. To my surprise, it did feel great! Unlike other menthol rubs, this one doesn't have a scent, it's not too menthol-y and it does make you feel relaxed. Since I felt that way, I knew my kids feel the same way too! I asked Bella how she finds the Euky Bearub. She said, "It feels soooo nice! If you put it on my forehead, it helps me go to sleep." Yup, she always asks me to put some on her forehead too since it helps her relax. My two-year-old also gets a good sleep despite cough and colds. Whenever he wakes up in the middle of the night due to coughing, I would apply some rub again so he can get a good rest once again. 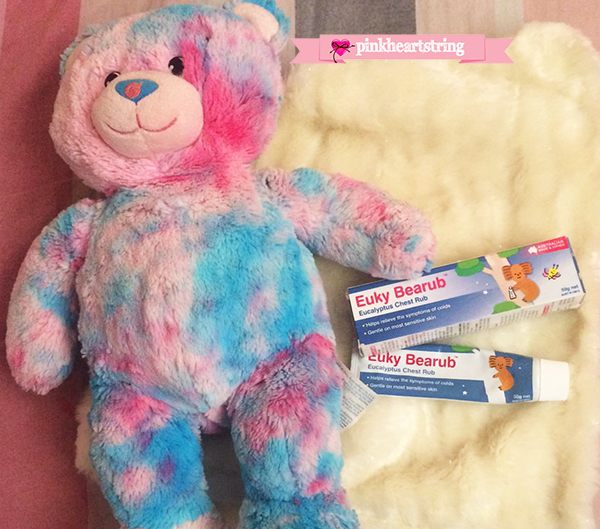 Aside from the positive feedback from my kids and my personal assessment, the Euky Bearub also gives moms a good promise: it helps relieve the symptom of colds and it is gentle on most sensitive skin. This Australian Eucalyptus chest rub is also good for stuffy nose, sore throat, and irritating coughs. 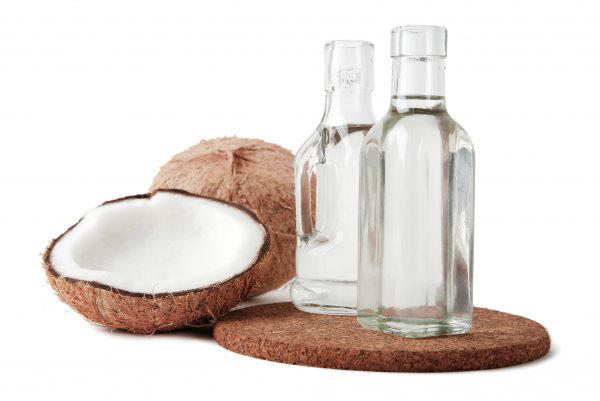 it can also sooth body pain, aches, and even insect bites. When applied before sleeping, it can make breathing easier. It is made with Eucalyptus Oil, Cineole, Menthol, Camphor and Rosemary Oil. This product from Australia has been around since 1977! Whew! That sure is a long time! Another good thing about Euky Bearub is that it's economical because you only need a small amount to apply on the chest and other areas. I have been using mine since November and I still have a lot. It also comes in a handy tube which makes it easy to get the rub out without any mess and grease under your fingernails. 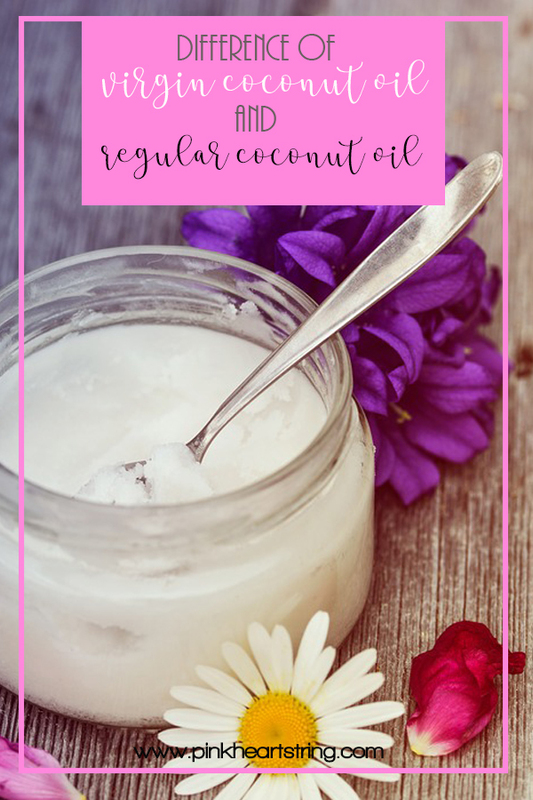 This non-greasy chest rub also readily absorbs into the skin. Although it is mid-strength, it is still very gentle on most sensitive skins. It is suitable for kids aged 1+ and adults. Gently massage into the throat, chest, and back. You can repeat doing this two to three times a day. It is ideal to use it before bed to help keep nasal passages clear. You can also use this for vapor inhaler. Simply dissolve two teaspoonfuls (8g) of Euky Bearub in a bowl of steaming hot water and inhale vapor, covering head with a towel. Make sure that the children cannot spill hot water on them. 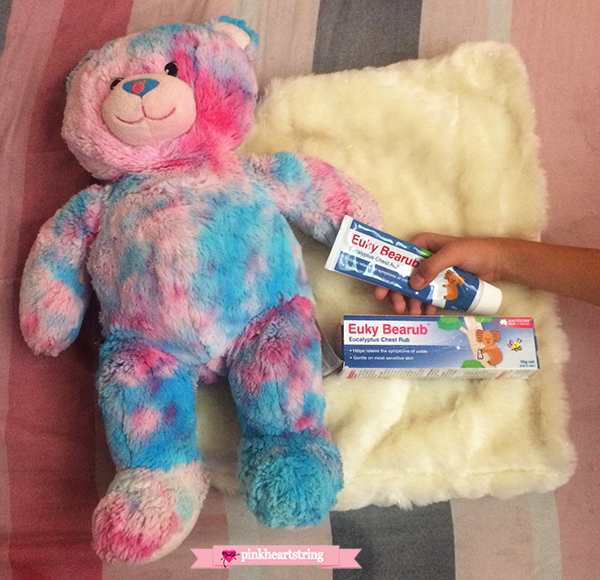 You can also massage Euky Bearub onto chest, back, and throat for added relief. 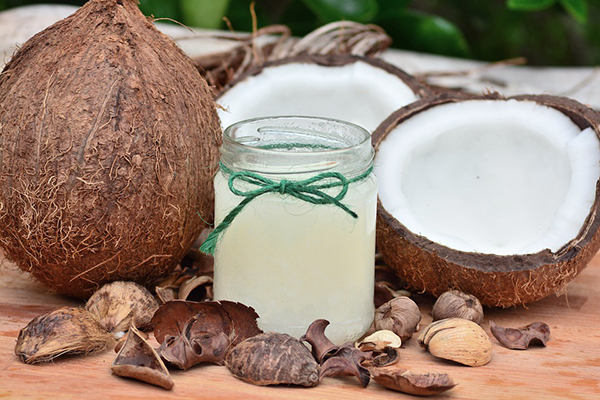 Squeeze a small amount of Euky Bearub into fingers and massage into the affected muscles. You may repeat this as necessary. Gently apply Euky Bearub to the area. Avoid rubbing in and repeat as necessary. 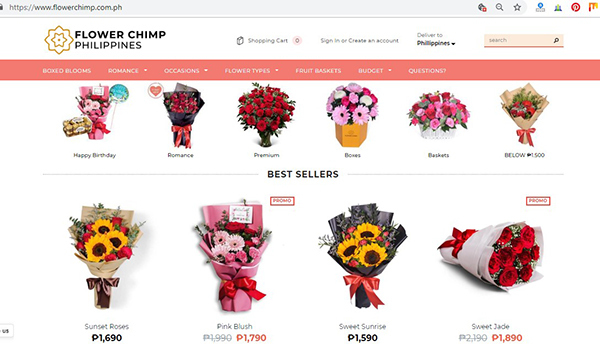 The product is available in Lazada. 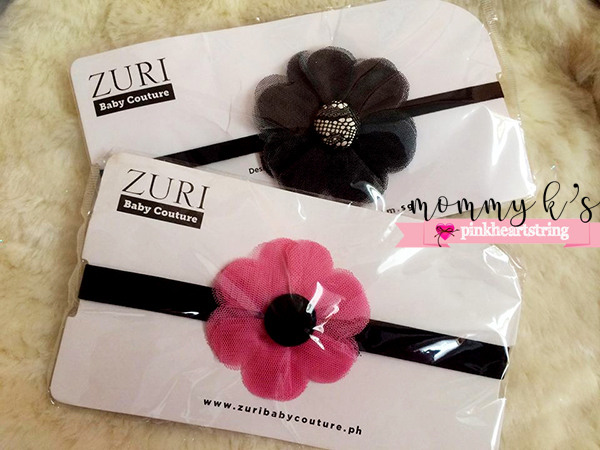 You can get one for P 495. And I assure you that it is all worth it! 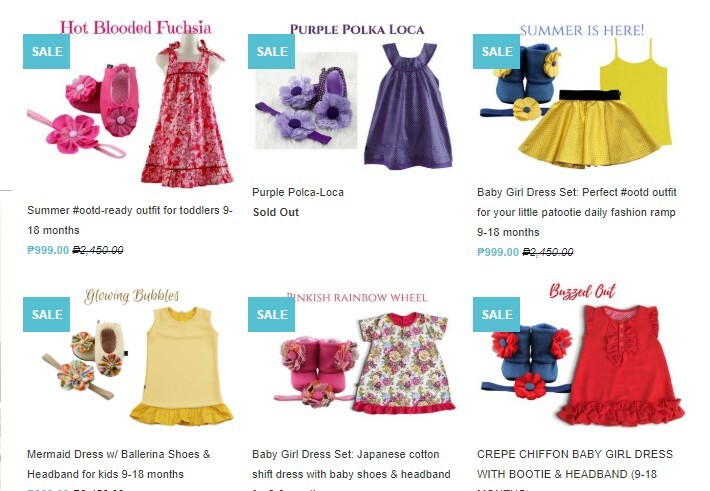 You can also buy it from Mothercare and Rustan's branches. You can read more about Euky Bearub on their website. For sure you want to have one after knowing how good this product it. It is easy to join. 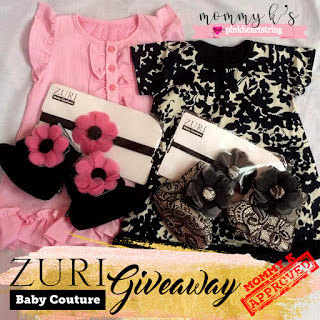 Just follow the steps below and you will get entries for the giveaway. 4. 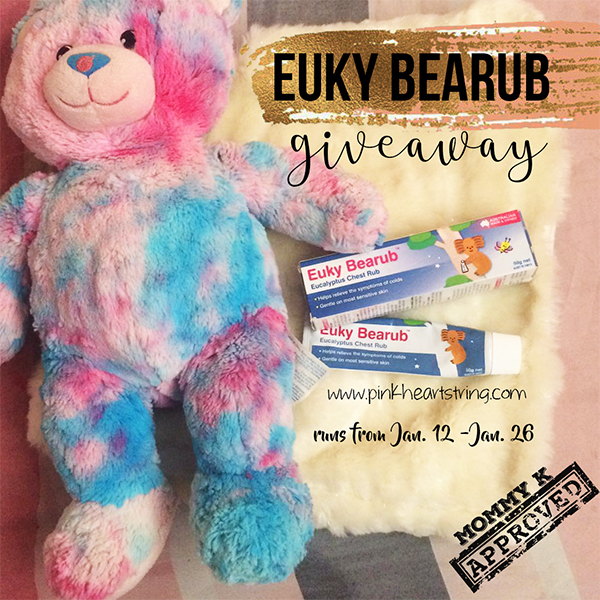 Comment on Facebook or Instagram why you want to win the Euky Bearub and tag three of your mommy friends. 5. 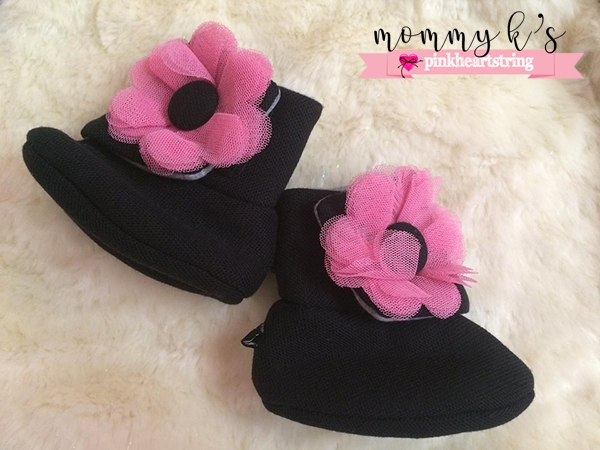 Use #MommyKPHSGiveaway #EukyBearubPHS as your hashtag. Please make sure that your post is public so we can easily track your entries. 6. 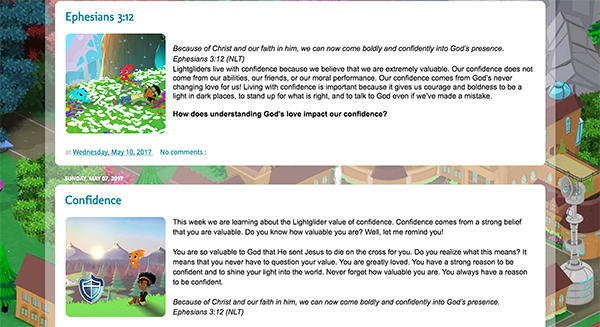 You can also get another entry by leaving a comment on this blog post with your name and email address. Answer this question in the comments below: What do you usually do when your kids have cough and colds? Will use it in a future post! 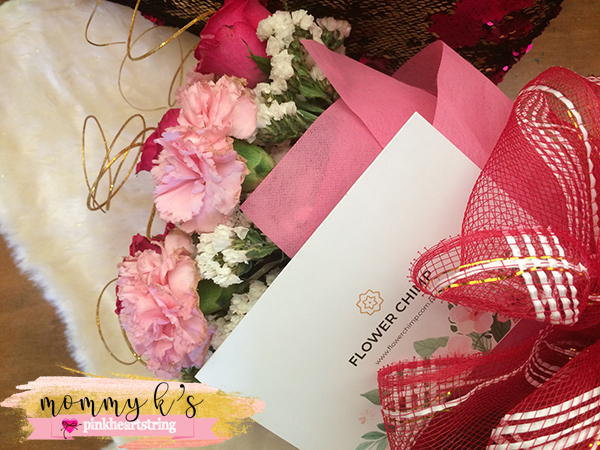 We will choose two winners- one from Facebook and Instagram and another winner from the blog comments. So, what are you waiting for? Join now! 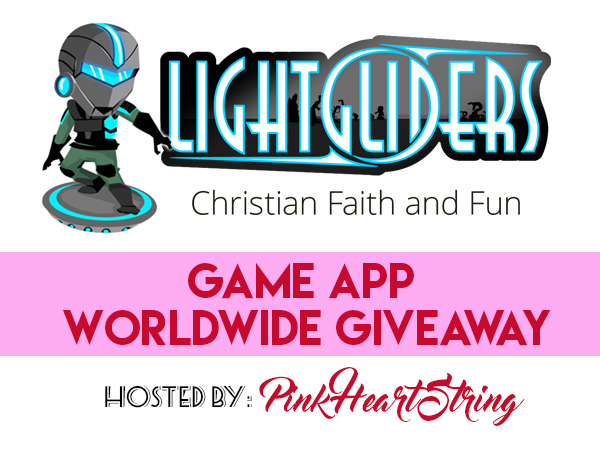 Giveaway ends on January 26. Is your child a bird lover? Well, who will not love birds, anyway? They are beautiful and they make cute chirping sounds that make us love nature and appreciate God's creation even more! So, if you have kids who fancy birds, the book that we are going to show you today is perfect for them! We will give you another book review but this is totally different from the ones we have reviewed before. 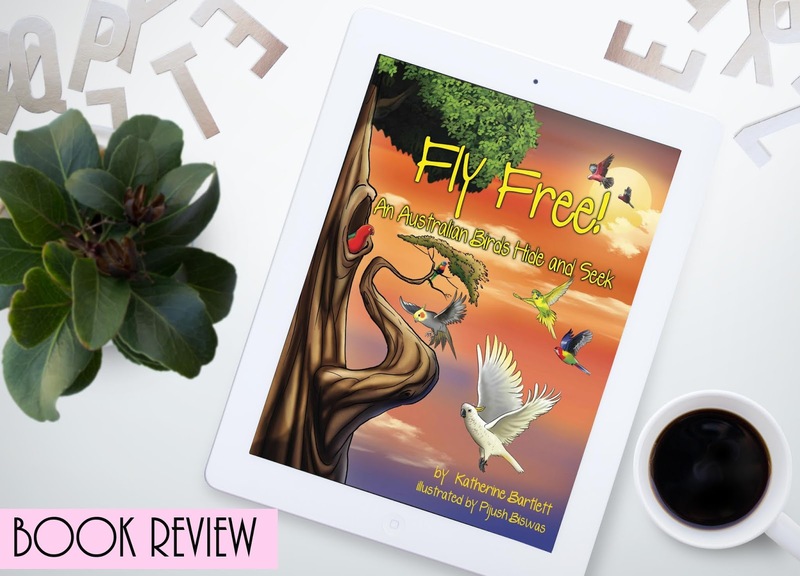 Author Katherine Bartlett, who is also a bird lover, wrote "Fly Free! An Australian Birds Hide and Seek." This book is about the different type of birds in the Australian Outback. Katherine is also the author of "Mr. Pete, Where Are Your Feet? ", "A Duck Named Goose," and "Barney the Pekin Duck." She currently has seven American Parakeets, one Zebra Finch, two Cockatiels, one Lovebird, one Pineapple Conure, one Parrolet and one Pekin Duck. I wouldn't doubt her love for birds! But this isn't your ordinary bird book. It has catchy and brilliantly illustrated pictures that will get the attention of the young readers. The birds all look beautiful! 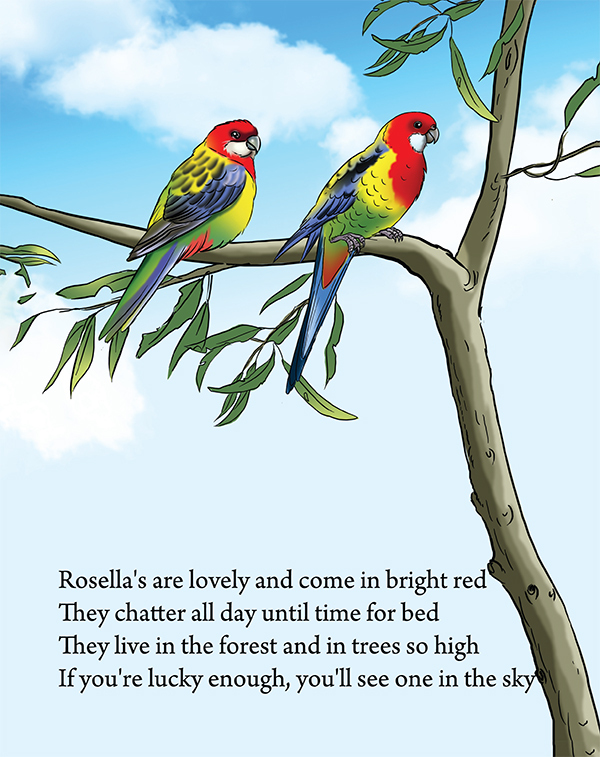 With the illustrations, it will also be easier for the kids to spot the birds in real life. Apart from that, it is well-written in rhymes which is perfect for the children. As we all know, some kids easily get bored while reading. That is why most children's books have rhyming words so that they will find it interesting. It is nice that the information about the birds is written this way. It really goes well with the colorful illustrations. Yes, you are right! Even the words are full of colors too! This book could also be a nice guide when you are bird watching in the Australian Outback. You can easily compare the illustrations with the birds in real life. I had the opportunity to have a copy of this book. And it is really nice, especially with all the colorful pictures. My 6-year-old daughter, who loves Science and animals, had fun reading it. I will share to you some pages of the book so you can get a glimpse of it. Notice the rhyming words in the book. 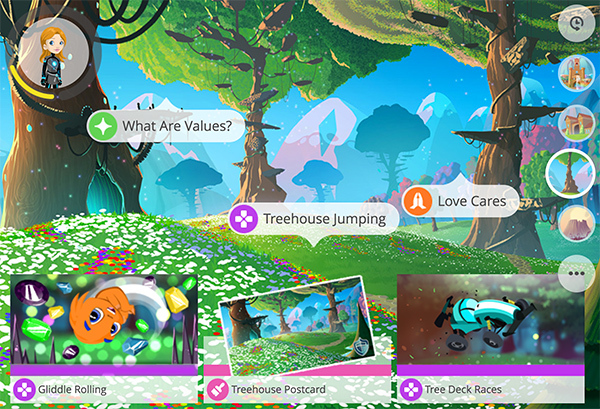 For sure, your kids will enjoy reading and learning at the same time. And of course, the illustrations are really beautiful, too! Well, that is just a glimpse of the 30-page book that is full of information about the Australian birds. For sure, you would love to see more! Get your own copy of Fly Free! 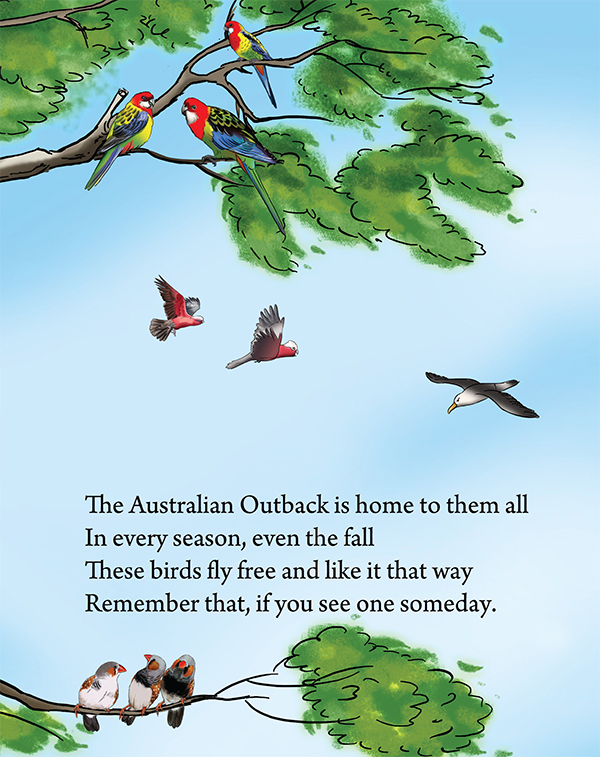 An Australian Birds Hide and Seek for only $4.99 on Kindle and $10.99 on Paperback! It is really hard for my 6-year-old daughter to learn Filipino. In fact, her grades on that subject are low that it pulled down her general average for the first grading period. To be honest, I'm worried because she always wanted to get an award in school. But this time, she can't because of her grade in Filipino. I had been thinking of an effective way to teach her Filipino. I let her watch YouTube videos for kids like fairytales and others. Aside from that, I also let her read some Filipino books. Although she complains that she cannot understand it, I explain it to her. Good thing that there are books for kids that are available in two languages. This way, she can read the English translation which helps her understand the story. She can also compare the Filipino text to the English part. Recently, we went to National Bookstore to buy clay and magic pencils since I promised her that I'll buy her those things. 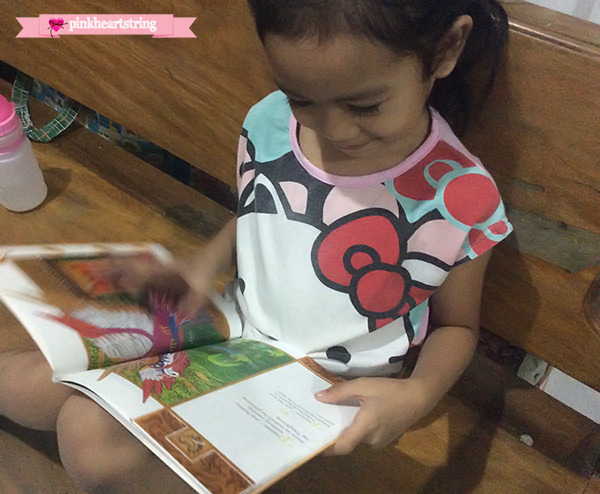 We also looked at the book section and bought her a new book titled "Ang Prinsipe ng mga Ibon." This book has both English and Filipino text. I asked her to read the Filipino part first then the English part. After reading, I asked her to tell me what the story was about. And it is really very interesting with an important moral lesson. It is one of the many stories from Ang Mga Kuwento ni Lola Basyang ni Severino Reyes. I actually thought it is something like Ibong Adarna because of the cover. I immediately pictured the men sleeping under the trees while the Ibong Adarna sings. Lol. But I was wrong. It has a different story. 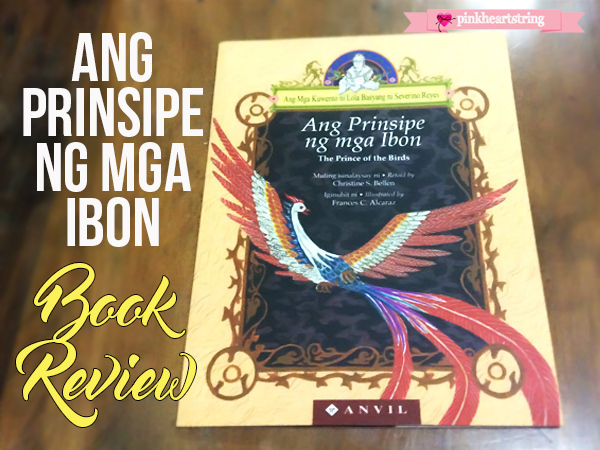 According to my daughter, "Ang Prinsipe ng mga Ibon" or "The Prince of the Birds" is about a girl who married a bird. When I heard that, I was surprised. But she is right. It is about Prinsesa Singsing who married the Prince of the Birds. She is a very kind princess and when the King told her that she needs to get married, she introduced him to bird. Of course, the King did not agree with the Princess' desire to marry the bird. There were two instances when the King encountered some problems in his kingdom. The Princess told him that the bird will help him but he should promise that he will let her marry the bird after that. But even if the bird was successful in helping the King, he still refused to approve the marriage. Because of that, the bird said that he doesn't want to become a person anymore because people don't know how to keep their promises. With that, the Princess decided to turn into a bird so she can be with her beloved. And they left the kingdom together. Moral Lesson: We need to keep our promises or else, we will suffer the consequences. We should also avoid judging others based on the way they look. In the story, the King lost her daughter because he did not keep his promise. Apparently, this is very painful for him especially when he saw that his daughter turned into a bird. The King belittled the ability of the bird to help save the kingdom and he only looked at it as a mere bird despite knowing that it can turn into a Prince after marrying his daughter. The book is very nice with colorful illustrations. I already mentioned that I like it because it is available in two languages. Aside from that, it has a moral lesson that we can teach our children. There are still other books from Ang Mga Kuwento ni Lola Basyang ni Severino Reyes and I will definitely buy some too. I guess my daughter will be getting more of these books for our next trip to the National Bookstore! How about you, have you read this book already? What is your favorite book that has a moral lesson? Parents will agree that kids are anxious when it is time to visit the doctor and the dentist. They feel like they will be in pain or they will be forced to do something that they do not like. That is why it is important to prepare them for a visit to a doctor or a dentist. We have to let them know that they will not get hurt and that there is nothing to be afraid of. Before, Bella would cry if I tell her that we will see her doctor. I talked to her about the reason why she needs to see a doctor. This way, she understood that she will benefit from her visit and that it is for her own good. Aside from that, we also bring her to McDonalds or anywhere she wants to go after a doctor's visit as long as she isn't that sick. Because sometimes, we really end up in the hospital because we need to confine her. But if it is a mere checkup, we bring her somewhere else as a prize for being a good girl. 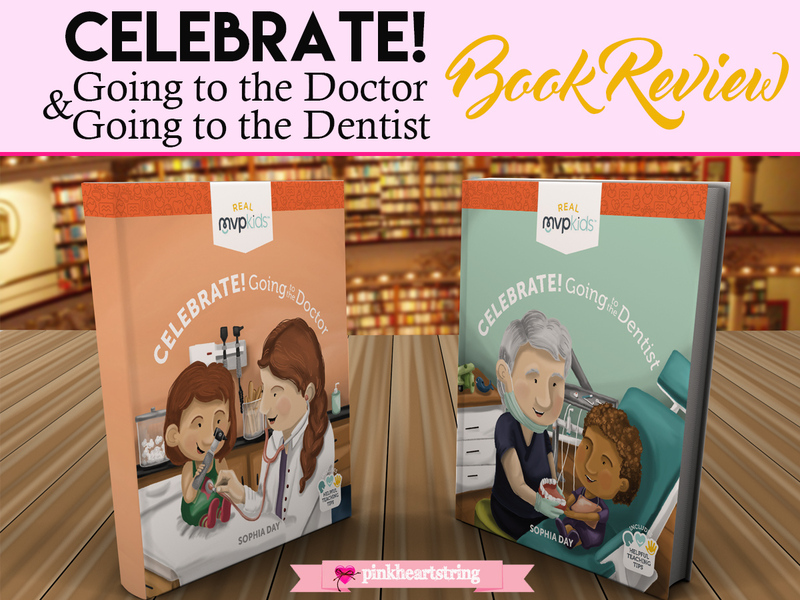 But another good way to encourage the kids to see the doctor and the dentist is through the Real MVP Kids book titled Celebrate! Going to the Doctor and Celebrate! Going to the Dentist. Yes, there is a reason to celebrate this and let us find out below. 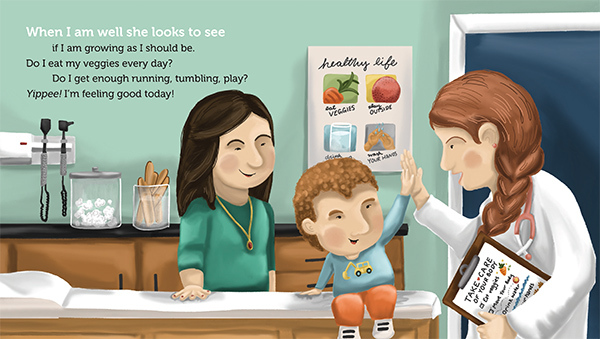 The book shows us how visiting the doctor can be fun. The kids should know that doctors are their friends and will help them with their illness. The doctor will also make sure that they remain healthy and strong. One good way to make the kids love going to the doctor is to let them pretend to be a doctor. Buy them a doctor's toy kit and let them pretend to check their toys, just like what Doc McStuffins do. This way, they will be excited to see their doctor so they will know what a real doctor does. They will surely imitate their doctor during playtime. And like Bella, your kids might even want to be a doctor too. Aside from that, you can also tell your kids that the doctor is happy and excited to see them. Then after the checkup, go somewhere fun like in the mall, a playhouse and other places that your child loves. And of course, read the Celebrate! Going to the Doctor book to them so they will know that seeing their doctor is actually an exciting day and a good reason to celebrate. The doctor isn't the only person who takes care of our health. But the dentist is also here too to make sure that our teeth and oral health is good. Many parents take oral health for granted but this is actually very important. Parents should teach the children about the importance of their teeth. Tell them everything about the teeth. Some parents exchange their child's tooth that fell out with a coin or a gift which could also be a good idea. Although tooth fairies are not real, at least this excites kids whenever a tooth is already wobbly because they know they will get something in exchange of the tooth. 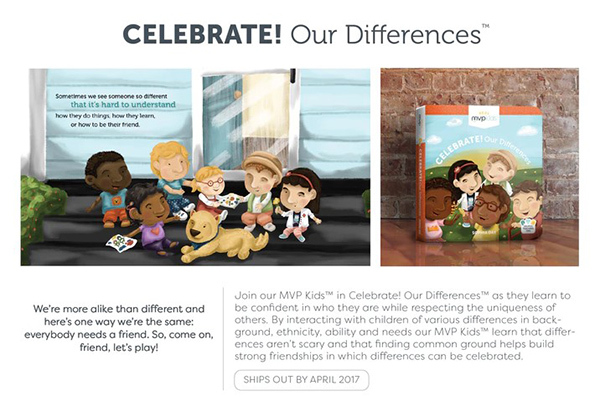 You can also read the Celebrate! 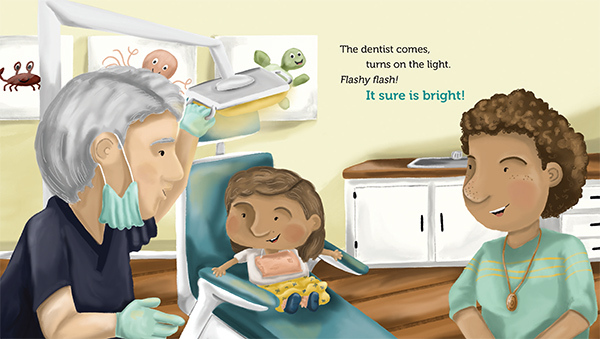 Going to the Dentist book to your kids so they will know what happens during a checkup. This will prepare them for the visit and you can also convince them that visiting a dentist isn't scary at all. We know that sitting on a big chair under a bright light is scary for the kids (and even for adults too!) but you can talk to your children about this.The book also contains tips on what you can do once you are already in the clinic. You can find this at the Helpful Teaching Tips portion of the book. Both books will surely change the way your kids look at going to the doctor and the dentist. They will realize that it isn't that bad after all. This way, you can help lessen your kid's anxiety during the day of the check-up by making it exciting for them. Aside from the Celebrate! Going to the Doctor and Celebrate! Going to the Dentist, there are other helpful books from the Real MVP Kids like Celebrate! MealTime and Celebrate! 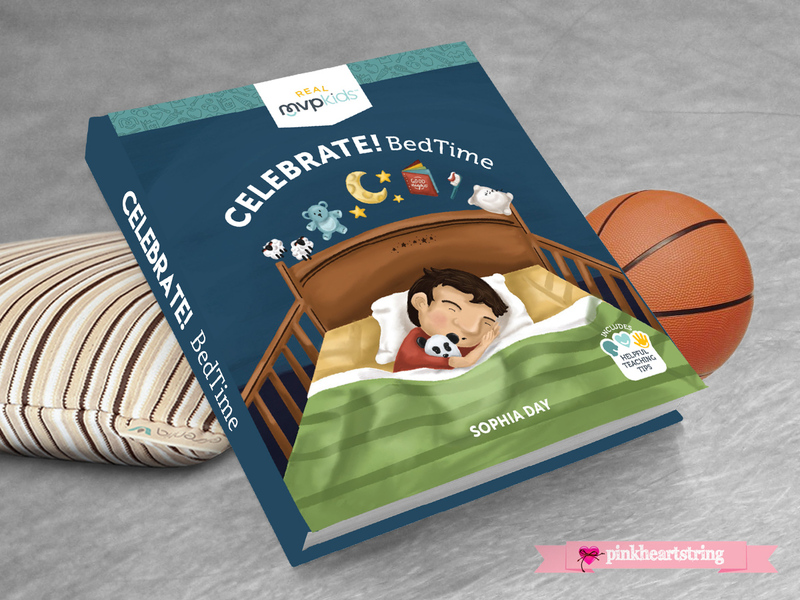 BedTime where they can learn to enjoy daily routines and even the Celebrate! 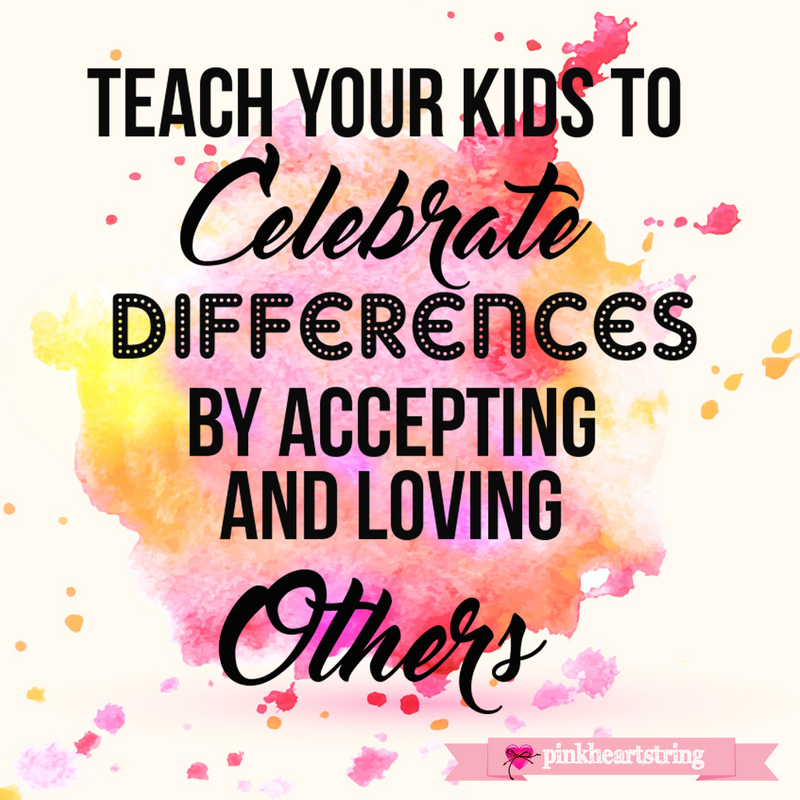 Our Differences that will teach them to love and value others. If you want these books, you can check the Real MVP Kids website and their Facebook Page for updates. Our children are aware that there are certain routines that they need to do within a day from waking up in the morning to sleeping in the evening. Of course, let us not forget the meals in between or even playtime. The things that our kids do vary depending on their age. It would be a lot different if they already go to school. 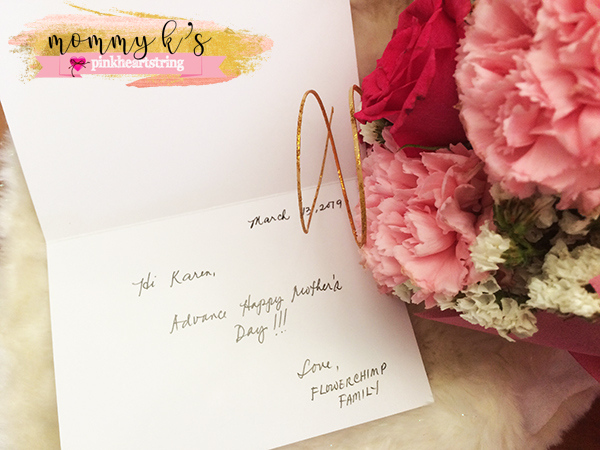 As parents, we make sure that their daily routine won't be a mere routine after all. We want them to learn new things every day even during bedtime and mealtime. We can do this by reading them a book before bedtime and sharing to them some stories while having a meal. This way, we are teaching them that even sleeping and eating can be a good time to celebrate. 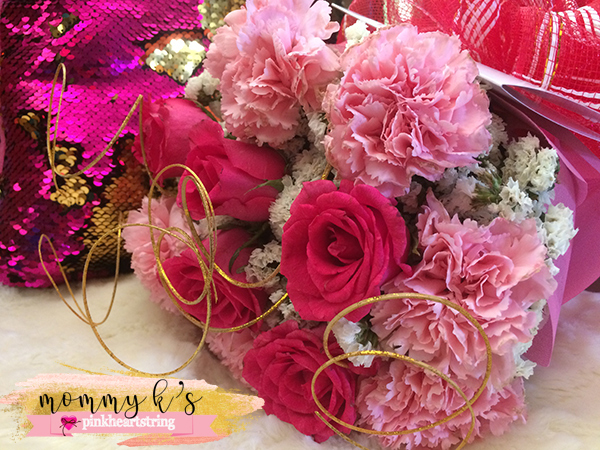 One tool that parents can use in teaching the children is the Celebrate! Bed Time and the Celebrate! Meal Time books from Real MVP Kids. These books are specially designed for our little ones. 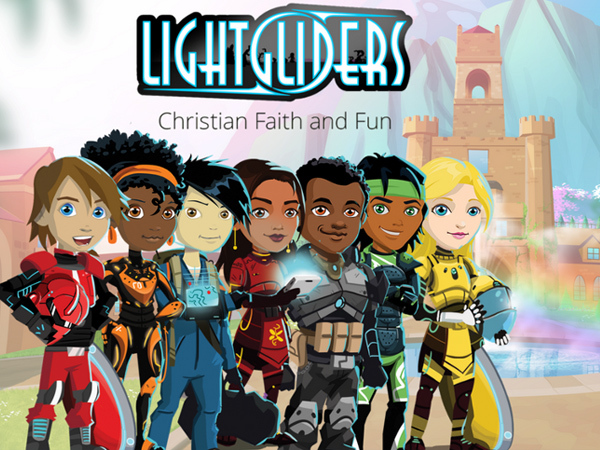 They have stunning colors and cartoon designs that our kids will surely love. But that's not all. What is more important is the lessons that our kids can get from them. Bedtime isn't merely a way to end the day and get some sleep. Parents can take this opportunity to create memories and establish more bond with the children. In my case, I always read stories to my daughter Bella before she goes to sleep. But before I read her stories, I ask her how her day was and what happened in school. Although we talk about this when she gets home, she feels more relaxed in sharing while lying down on the bed. After we talk, it's time for bedtime stories. She gets to choose which story she wants. When we are done reading, we talk about the things she learned from the story. The Celebrate! 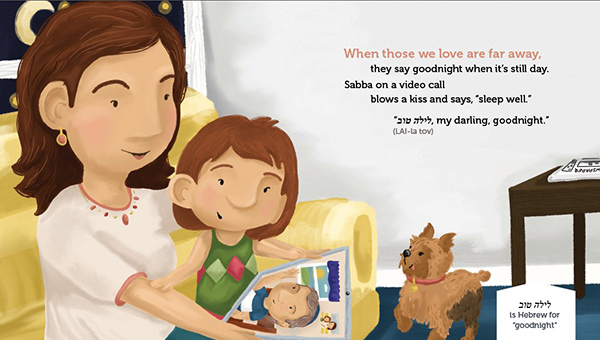 Bed Time book is a good way to teach new languages because it shows how people around the globe says "Good Night." While Bella was entertained knowing that she can actually say Good Night in different ways, I was also learning. Lol. 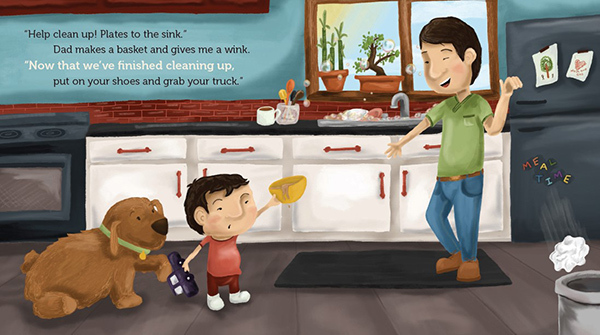 The book also teaches the children how to get ready for bed. This includes keeping their toys and cleaning their mess. And of course, one also needs to brush teeth, clean up and put on pajamas. This is also a routine that the kids should know. So when it is time for bed, give your kids enough time to prepare. You have let them know that in 15 minutes, they will be going to bed already. This way, they are aware what to do next. There are also useful tips from the "Helpful Teaching Tips" portion of the book which is intended for the parents. Apart from eating healthy food, we should also teach our kids about the different ways they can help in preparing meals. Though they do not need to hold the knife and light up the oven, we can teach them to arrange the placemats on the table as well as the utensils. We also need to remind them to be careful all the time. Bella is happy whenever I allow her to set the table. She also wants to help in cooking. Hence, I let her do the easier tasks like mixing or pouring water and others. This way, I'm not just making her happy but she is also learning something new. Once the children are involved in some chores, they will feel that they have contributed something and they will also be able to appreciate your efforts in doing these chores especially if they find it hard. The Celebrate! 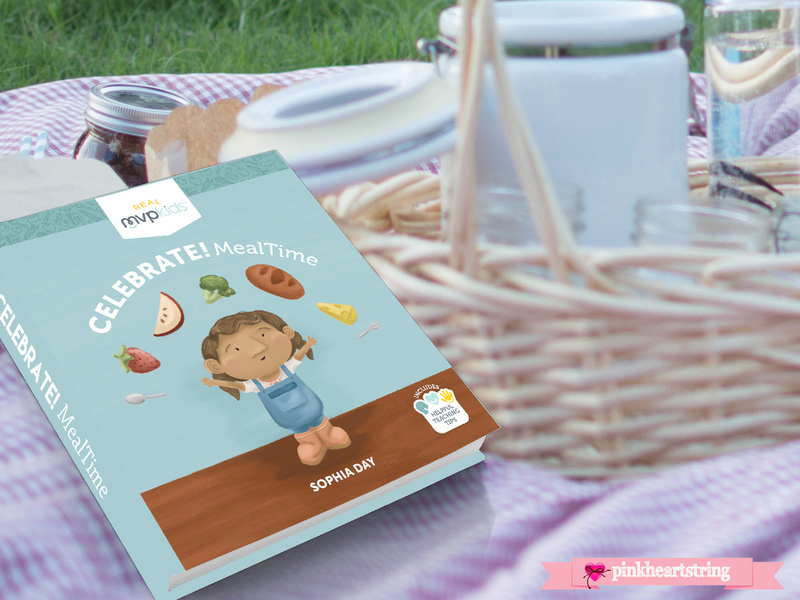 Meal Time book teaches children the value of a healthy meal and how kids can help their parents in preparing for it. It also reminds kids to observe good manners and proper mealtime etiquette. One very important thing that I teach Bella is to always pray before eating to thank God for the food that we have on the table. And she does it all the time before eating. If you teach this to your kids at an early age, they will be able to bring that with that with them even when they are already adults and have kids of their own. Eating meals together as a family is very important. This is one moment wherein you can talk about what happened in school or at work. Kids who eat meals with the family builds a better family bond with the parents and the siblings. Parents will also be able to monitor if their kids are eating well or not. So if you are not eating meals together as a family, you can still do that. Remember that once you show your kids the importance of a family, they will feel more loved and will grow up to be a better person. And you can show this to them during meal time ande even during bedtime too! For sure you would love to have your own copy of the Celebrate! Bed Time and Celebrate! Meal Time books. You can pre-order through their Kickstarter page or you can also support their book through that. There are eight Celebrate! books from Real MVP Kids. 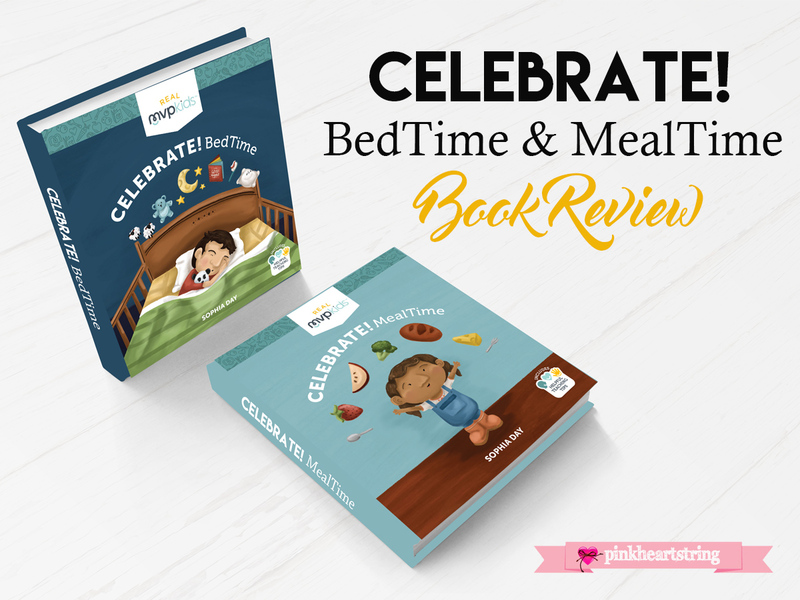 Look forward to my review of Celebrate! Going to the Doctor and Celebrate! Going to the Dentist! 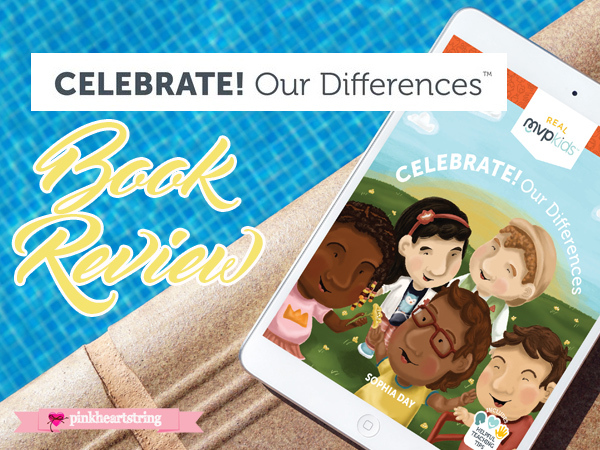 Also read my review of the Celebrate! 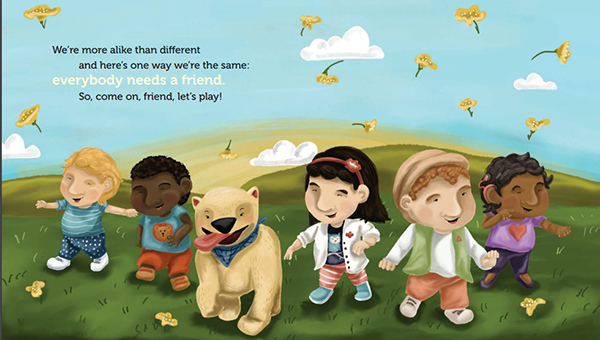 Our Differences book which you can use in teaching your kids about how to love and care for others even if they are different. Sometimes, we have to sacrifice and take risks before we can get what we actually want. Sometimes, we make a mistake first before we can finally get to what totally makes us happy. And when we finally get it, we realize that the sacrifice is all worth it. It is like getting a pot of coin at the end of the rainbow. It may took a very long time before you find the end of the colorful band but when you finally put your hands on it, it is definitely worth the wait. But same is true when choosing something that we need in our life. Just like getting the right smart phone that will perfectly fit your needs. There is a sea of smartphones around us with each boasting various features. Prices vary. Designs differ. Brands are competing everywhere. But which one is perfect for you? Today, as you read this blog post, you might be able to get the pot of gold you had been searching for. Today, as you scroll down this article, you will get to see one of the best smartphones especially when it comes to taking pictures. 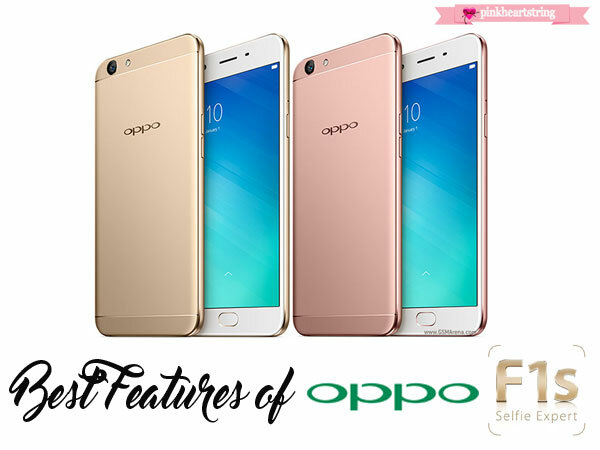 Today, as you get to know the OPPO F1s, you will no longer worry about keeping great memories because this can all be captured by the OPPO F1s selfie expert. Since memories is what matters most, just like the colors of the rainbow, then this phone is totally worth it. Say goodbye to dark photos when you take a selfie because with the phone's 16MP front camera, you will look beautiful. Your selfies will get more light and more details, allowing you to preseve every single precious moment of your life. Whatever is your source of light- day light, night light, back light and even with low light, the picture will turn out nothing but perfect! With its Beautify 4.0 app, you will look naturally beautiful as it capture your best look free from blemishes. Yes, whatever angle that may be, you can look totally gorgeous with this feature. Just look at the part where the app wasn't used and the part that used Beautify 4.0. They look like celebrities, don't they? You can look more beautiful too! You'll gain more self-confidence and you'll worry no more about uploading selfies that look dark. With its numerous filters available. It could be very handy as you can edit your images after you finish taking photos. 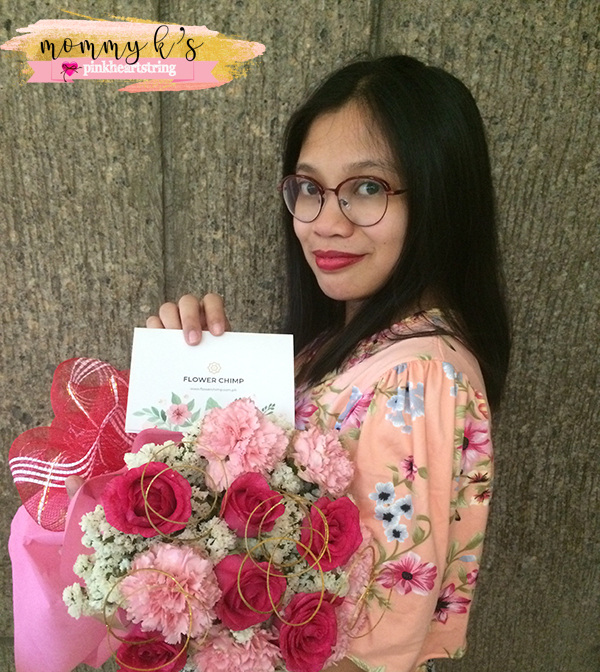 It would really be nice to get an even lovelier photo to share after you apply a filter.Choose from Cafe, Bright, Candy, Shine and more! And that's not all, you can even add watermarks and you will be able to add time, date, temperature and other details on your photo. Take a Selfie With Everybody! You'd definitely gain more friends with this feature because a selfie won't be all about yourself anymore. It would allow everyone around you to join without being cut or without the hassle of compressing together. With its selfie panorama, you can take a wide angle selfie with friends! Now everyone will surely be in all smiles! Capture Beauty in the Dark! Yes, no matter how dark it is, you will manage to take a photo of it including all the lights. If you love the cityscape or the city's view, then go ahead, take a picture with OPPO F1's 13MP rear camera. Its 1/3.06-inch sensor allows the handset to maximize the lights and perform well during the night. You'd surely be able to appreciate any beautiful scenery even during the night as you grab hold of vivid, clear and details photo. Nope, there is no space for noise and blur there. Of course we want this! Before this modern day era, we always wondered if there will come a time when we will be able to control anything just under our fingertips. And yes, it sure is possible now with this smartphone. You can launch different apps using a certain finger. Just set that on your phone and everything will be a lot easier and less time-consuming. Not like the Prince in the Swan Princess, I won't say "What else is there" if you ask me what is more to the phone's beauty because in truth, there are still a lot of impressive features. The design itself is very nice. It is sleek and minimalist in appeal with a 5.5 inch screen and 2.5D Corning Gorilla Glass 4 screen. Of course, it is also faster as it runs on octa-core 64 bit processor and 3GB RAM which makes it easier for you to switch apps and use the phone for a long time. Another one is that it has a dual sim card slot and it allows you to expand your storage space with a microSD card slot. So, what more would you ask for? With OPPO F1s selfie, you will surely feel like finding a pot of gold at the end of the rainbow because of all its amazing features!